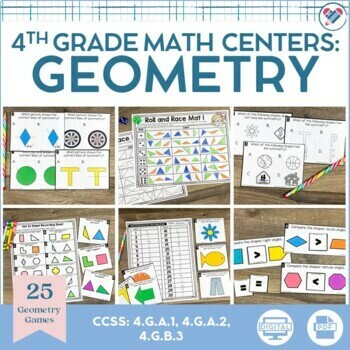 You will receive 413 pages of geometry math centers for fourth grade. You will find 25 hands-on games and center activities. 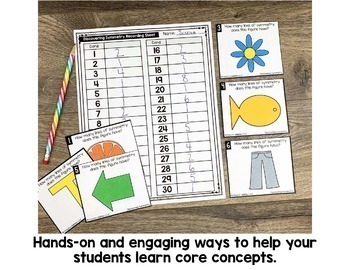 Each print and go center is tailored to the needs of your fourth grade students and can easily be differentiated. This set also includes a version with Australian/UK spelling. 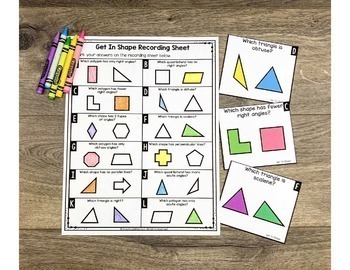 Help your students develop an understanding of geometry concepts such as lines, line segments, rays, angles, 2D figures, and symmetry. Your students will love playing or working at each center with these engaging and motivating centers. Students will have so much fun, they won't think of it as work! 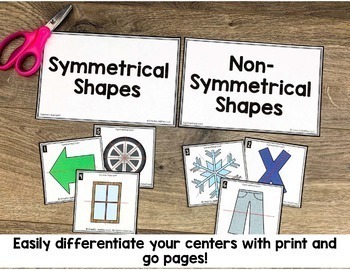 Each center or game can be easily differentiated!